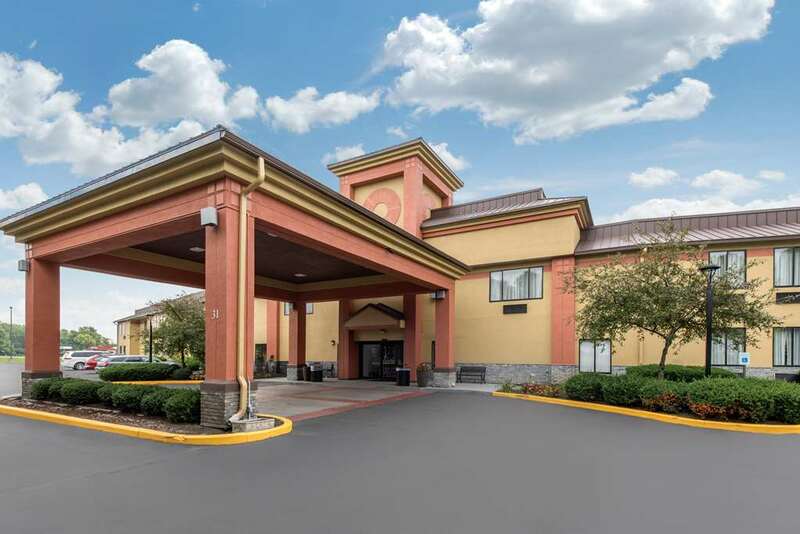 Get more for your money at the pet-friendly Quality Inn and Suites hotel in Brownsburg, IN near the Indianapolis International Airport. We are also near the Indianapolis Motor Speedway, Butler University, Indiana State Fairgrounds and the Indianapolis Museum of Art. Get more value with amenities like free breakfast, free WiFi, free coffee and a fitness center. Guest rooms include coffee makers, desks, hair dryers, flat-screen TVs, a hot tubs, kitchenettes, microwaves, refrigerators and sofa sleepers. We also offer membership to the Choice Privileges Program, which gives members the opportunity to earn valuable rewards points toward airline miles, gift cards and free hotel room nights.